Creates two (2) 300 lb. blocks of clear ice using separate chambers of water. Uncrated Weight: Approximately 590 lbs. Crated Weight: Approximately 650 lbs. Pair with an Ice-Max Water Chiller to significantly reduce freezing times. 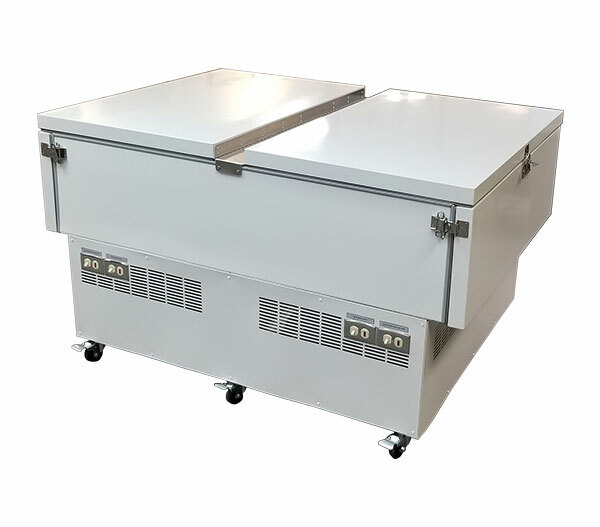 Use our Ice-Max Ice Block Compartments to create many blocks of ice for various purposes, such as snow cone machines.